Fantastic Saami (Sami) Shamans drum, which is an item I had wished to have for many years. Harriet called me personally from a trip to Finland, just to make sure that I would get the drum that would be the most special to me. 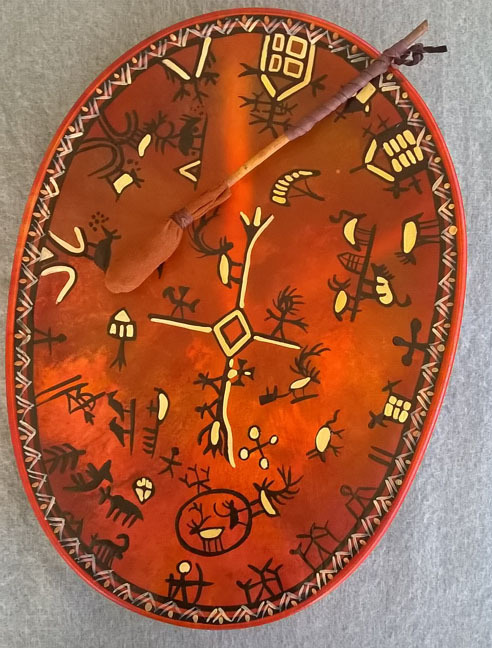 The perfect drum came, just like it was meant for me (lots of Gods, shamans, wildlife, and reindeer as the design). Kellam Knives has service second to none, the personal attention to detail, their care for the customer is the best. " Thank you" Harriet for your kindness, it is always a pleasure to do business with you !! !